This two station unit will accept 200AUA Assemblies for notching ends of pipe, for stair rail applications, where the notch is perpendicular to the wall. Unit will accept pipe up to 1-1/2" Standard (1.900" OD x .145" wall). A spring loaded, spanker style unit manufactured of hardened steel will provide many years of maintenance-free service. For use in mechanical presses, iron workers, or our hydraulic presses that we offer. See Press Section for available options. 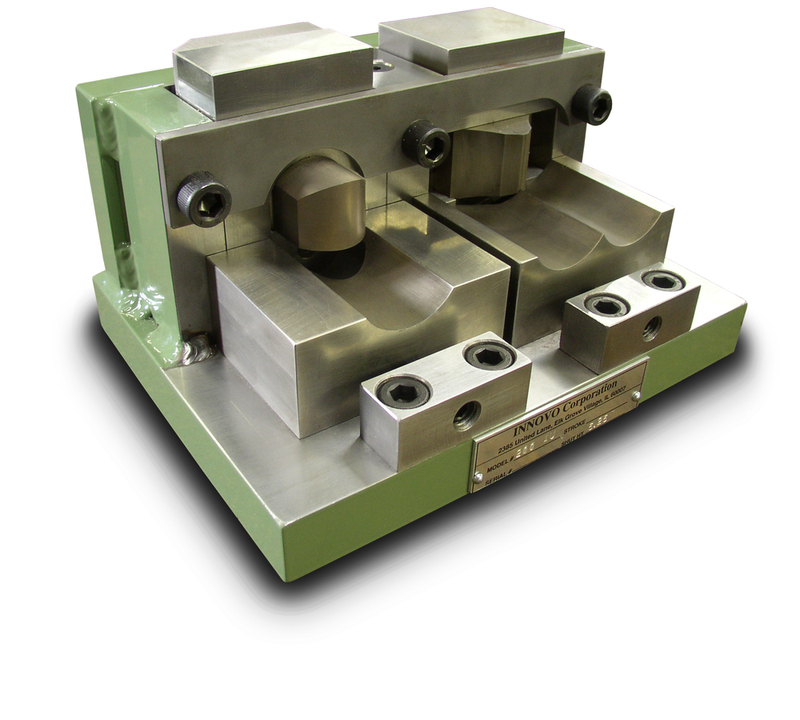 These two station assemblies designed for notching on angle (RE: 35 ° stair rail / 55° between) are manufactured of hardened steel, with removable punches and dies sections for ease of sharpening. General applications require on press stroke in the first station and two strokes in the second station to complete each notched pipe.